The refrigerator is one of the most important appliances used daily. Its size is directly related to capacity, productivity, functionality and efficiency of the entire unit. To define them should be, focusing on the kitchen area, the number of users and their purchase ability. Standard dimensions of refrigerators for Russia vary in a range 85-210 cm (height), 45-65 cm (width) and 50 to 70 centimeters (depth). In height they divided into small (50-135 cm), medium (140-185 cm) and high (190 to 210 centimeters). The width of the refrigerator, in turn, is American, European or Asian type. So, for Asian refrigerators are units that are average in width and height, to American – wide and high refrigerator, and to the European – narrow and tall models. 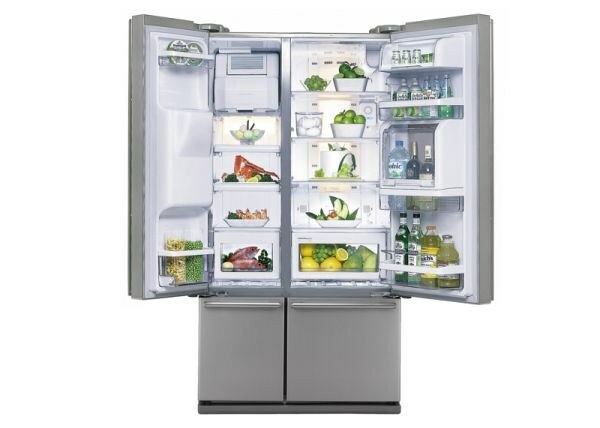 Type the depth of the refrigerator is divided into a standard (60 cm), overall (up to 110 cm) and shallow (42-50 inches). The volume or capacity of the refrigerator, determine the amount of food that can be placed inside cold rooms. Standard volumes of refrigerators range from 250 to 350 liters, the volume of the freezer – 50-140 liters, and the volume of the refrigerating chamber is 150-210 litres. The most common units are the low single-chamber refrigerators with the little freezer and the following dimensions: height: 50-120 cm, width of 50-60 cm, depth of 50-60 centimeters, and the volume of 120-220 liters. These refrigerators are ideal for multiple users - they are very comfortable due to its light weight and modest dimensions. Two-compartment refrigerators, designed for a large family, have greater storage capacity, a full freezer and a refrigeration chamber, and one or two compressors. They have great functionality and are equipped with independent lines of airflow to each compartment. Their standard dimensions are 130-210 cm height, 50-70 cm wide, 55-65 cm depth and 260-380 liters of volume. The only shortcomings of modern refrigerators is their large weight and relative bulkiness. Increasingly popular today are gaining refrigerators Side By Side. Because of their size they are only suitable for kitchens, studios or kitchens with a fairly large area. These refrigerators are two-door: their freezer located on the right and the freezer on the left. Refrigerators Side By Side is equipped with a fully functional area fresh function, No Frost, ice maker, and even a built-in TV. Standard sizes of these units range 170-190 cm height, 100 cm width, 60-80 cm depth and 350-800 litres of volume.